According to Joni's own words, Coyote was written on November 25, 1975 - somewhere between Hartford, Connecticut and Augusta, Maine. She was traveling with Dylan and the Rolling Thunder Review. At the Augusta concert on Nov 26, Joni introduces her very first performance of the song saying "this one was just written yesterday so it's...." as her thought trailed off. It's interesting to note that she had not yet decided if it was going to be "prisoner of the white lines" or "victim of the white lines" at the first performance. The melody is not quite fleshed out and (to our ears, at least) neither were the final guitar chords. Also, there were only 2 of the 4 verses written/performed (what ended up as verses 1 and 3 on the Hejira album). Five days later, on December 1st, as the Thunder rolled into Toronto, she had added a third verse. By the time the Thunder clapped into New York City on December 8, she was still calling it "a brand new song" but had fleshed it out a bit more. All 4 verses were now in place, but not quite in their final form. This past Sunday, I had the privilege of performing "Coyote" as part of "Last Waltz Live" at Spruce Peak Performing Arts Center here in Vermont. I'd appreciated the song's form and spirit, but was not drawn to the coercion ('won't take no') element, and never committed the lyric to memory. 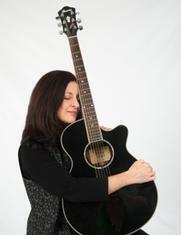 Once invited to perform the song, I embraced it, obsessively, for 3 weeks under a full performance schedule. I did alter the 2nd verse to "Forty years down the road, 'Me Too!' is what we may say" just before the refrain. Permission neither asked nor granted; yet it felt proper to honor both the genius of the songwriter and our slow collective shift in mindset. Glad to report hearing two YES! cheers from the audience for that change. A very challenging and rewarding experience. 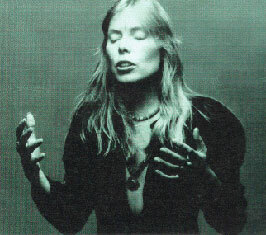 All The Love to Joni Mitchell. Definitely about her romance with Sam Shepard on Rolling Thunder tour. She discusses her "flirtation" with him (both on coke) in Yaffe's Joni Biography, p. 206-7.